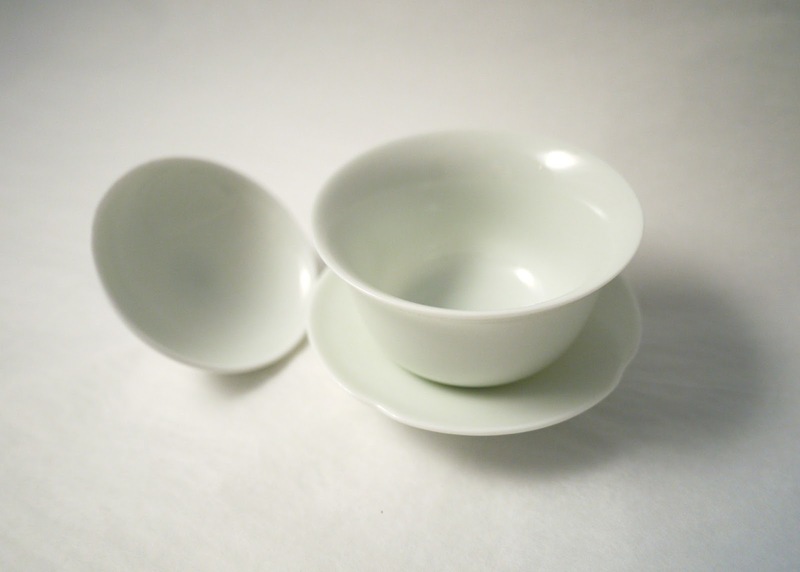 Unless otherwise specified, all our ceramic ware with painting patterns have under-glaze painting, which means the paint/pigment has no contact with your tea liquor. 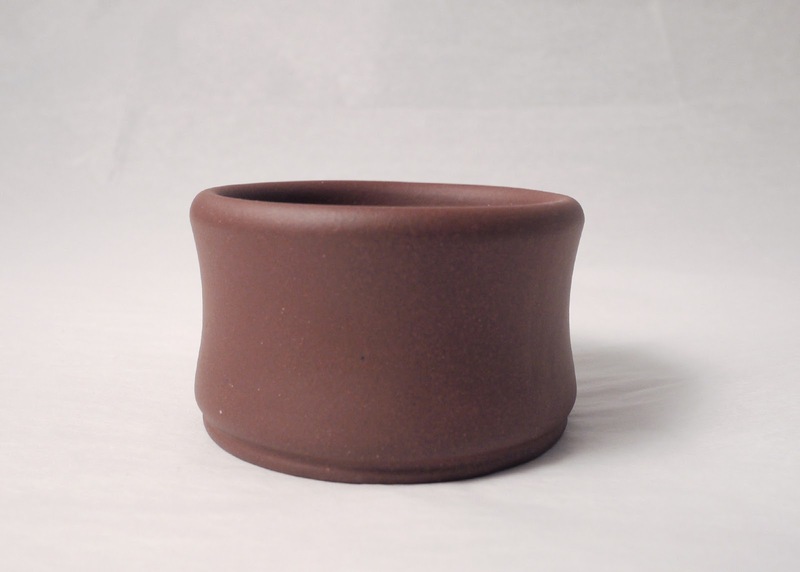 Height is 45mm, and diameter is 70mm. Each cup weighs about 6 oz. 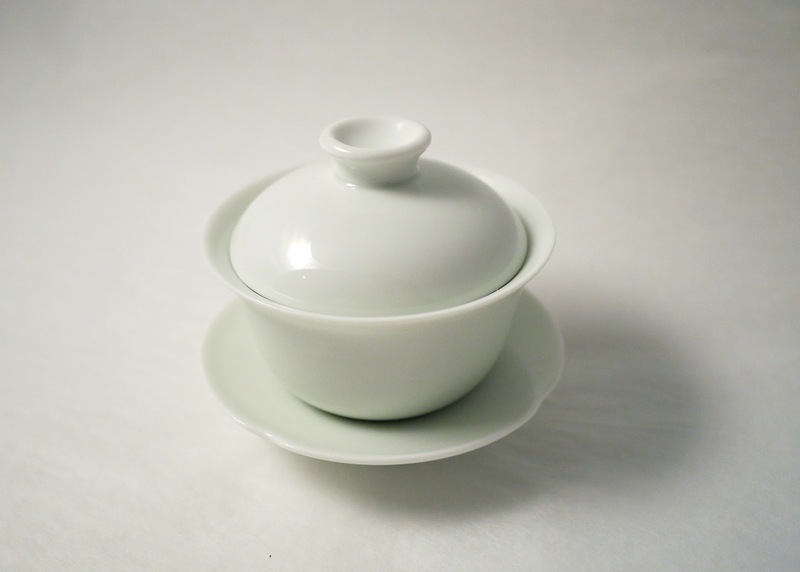 It's made by Xu Peng, whose Di Cao Qing teapots and other teapots are available at Life in Teacup. 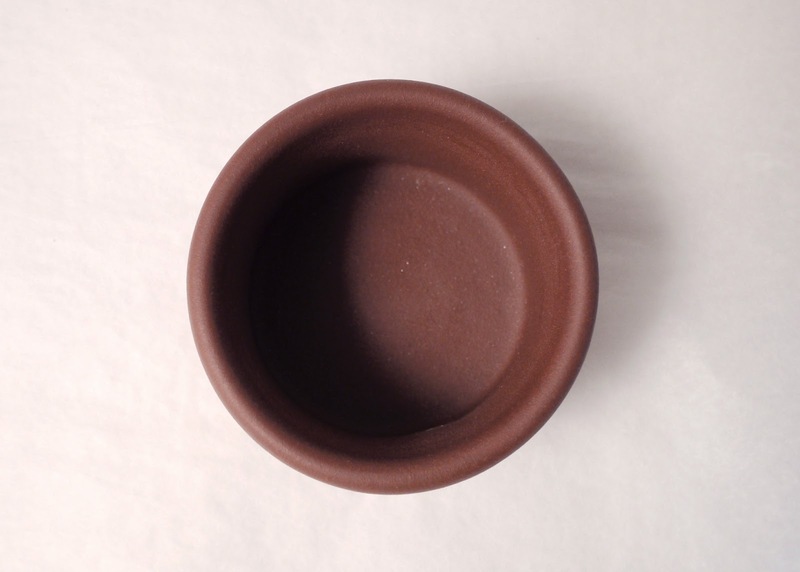 The clay used in the teacup is pretty much the same as that used for the teapots (color tone could be different due to variation of kilns and the shape and thickness of each vessel that respond slightly differently to kiln conditions; texture is generally the same). The shape mimics a bamboo section and is very nice to grab. 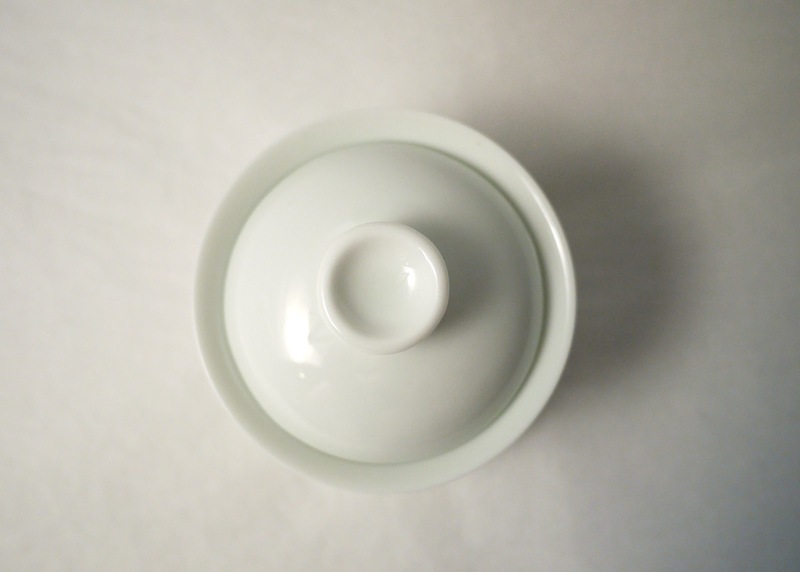 It's my favorite size to match with a small teapot so that a sharing pitcher can be omitted in gongfu style drinking. "Shadow Green" is a color very popular in traditional Chinese porcelain. It's pretty much white, with a greenish hue. 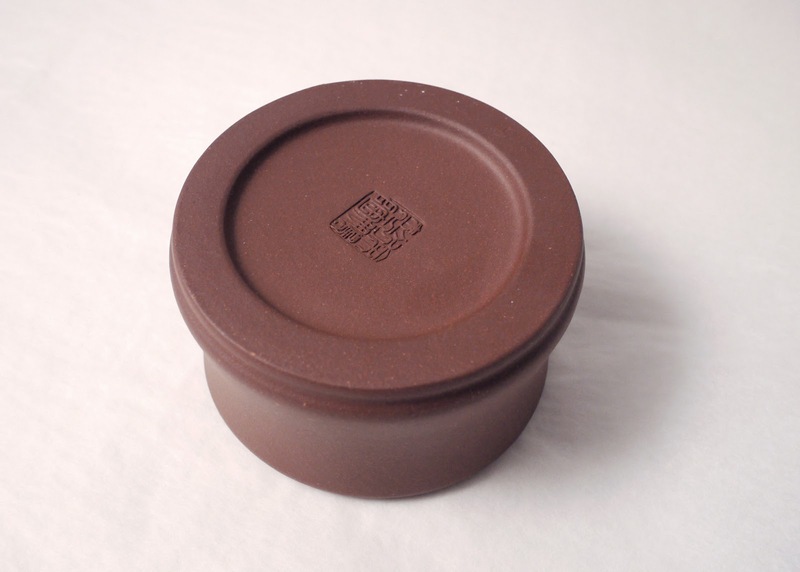 Feng Qing Tang is a Taiwan tea ware producer that specializes in practical, plain tea wares with a traditional taste. Porcelain teacup made with modern Tenmoku technique. 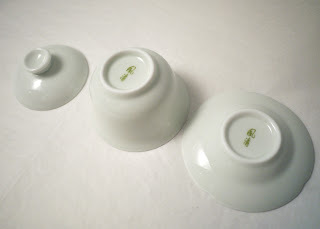 Each teacup has random, unique pattern. But all teacups have the consistent theme that mimics color pattern of peacock feathers. Height: 1.9"; Diameter: 3.5"; Volume: about 2 oz. High quality porcelain Gongfu teacup with double fish pattern. 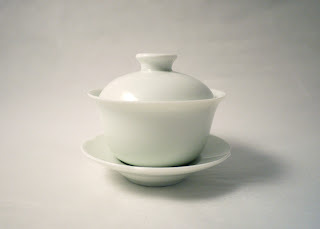 Height: 1.5"; Diameter 3.25". It can hold approximately 1.5 oz. of water. Made in Taiwan. Please click photos to see larger images. The image of the two fishes inside the cup may have slight variation of tail shape. 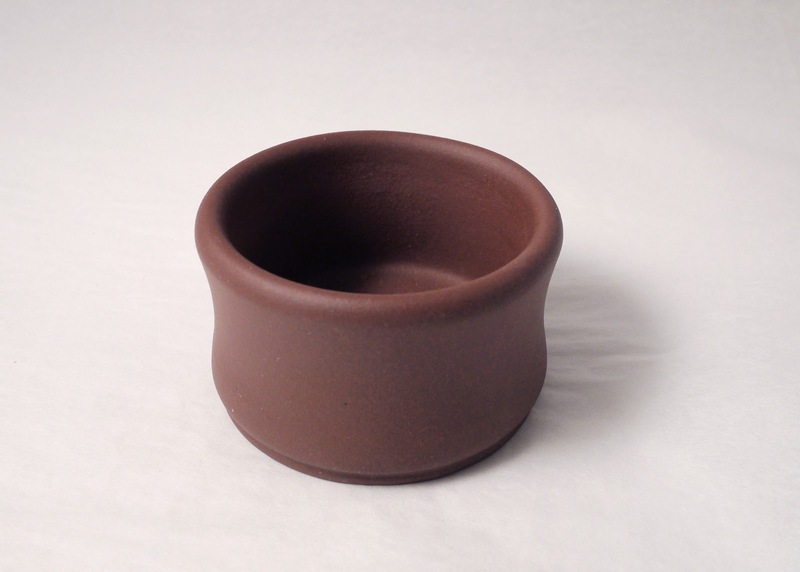 High quality ceramic Gongfu teacup. Height: 1.25"; Diameter: 2.5". It can hold approximately 1.4 z. of water. Made in Taiwan. Please click photos to see large images. Handmade in Japan. These dishes are used in Japanese Tea Ceremony as snack dishes. They have some history, but are entirely new without being used. Height of dish: 0.5"; Diameter of dish: 4.25"; Side length of wood box: 4.75". Please click photos to see large images.